FamilyFarmed has launched a fundraising campaign to support its new Direct Market Success program — the latest expansion of the Chicago’s nonprofit’s extensive efforts to train farmers across the United States so they can achieve sustainable success. 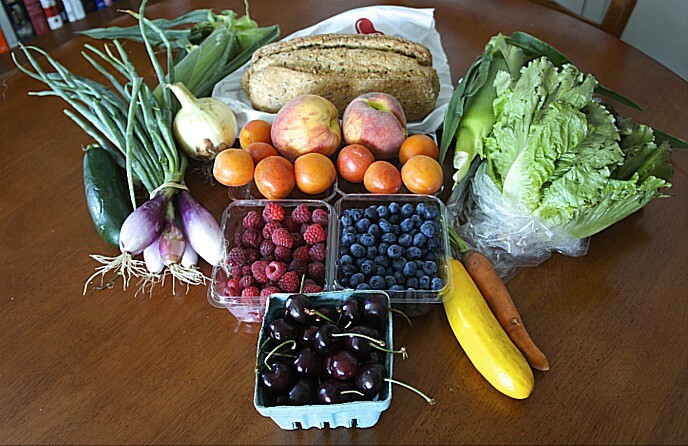 These resources will be used to produce Direct Market Success, the definitive manual for farms selling directly to customers through farmers markets, CSAs, farm stands and other venues. The manual then will become the core of a program to train farmers — including many of the generation of newer and younger farmers who our nation so critically needs — in workshops to be held across the nation. There is a fun side to this very serious campaign. Supporters making tax-deductible donations may choose from an exciting list of “perks” offered by FamilyFarmed. They include meals and other donations from award-winning chefs such as Chicago’s Rick Bayless, Paul Kahan, Carrie Nahabedian, Sarah Stegner, Paul Fehribach and Paul Virant, pioneers in “farm to table” cuisine. There are donations from Chipotle Mexican Grill, Whole Foods Market and Farmhouse Chicago. And for a $250 donation, you can make like the president of the United States and pardon a Thanksgiving turkey, which will live out its natural life on the organic pastures of Illinois’ Mint Creek Farm. The Direct Market Success manual is being produced with the guidance of an Advisory Board of 19 experts from across the direct marketing spectrum. To learn more about them, please click here. 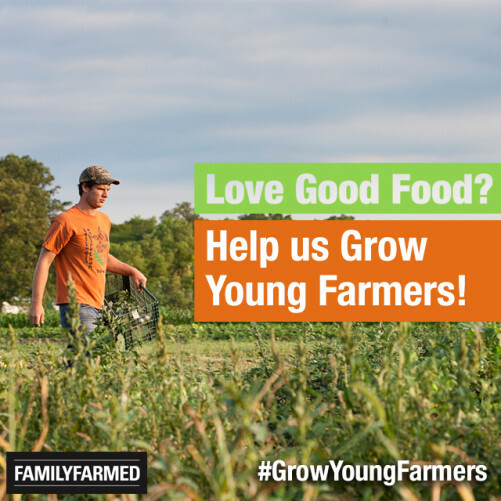 As the name “Help Us Grow Young Farmers!” implies, the program addresses a critical need: a new generation of food producers. With the U.S. Department of Agriculture (USDA) reporting that the average age of farmers is approaching 60, promoting the success of newer and younger farmers is urgent. “If we don’t grow young farmers, the nation is going to be headed down a very risky path,” Slama said. Slama noted that Direct Market Success is modeled directly after FamilyFarmed’s impactful Wholesale Success manual and program. “Wholesale Success has been used in workshops in 35 states to train more than 7,000 farmers who are selling or want to sell into wholesale markets, and the program is growing,” he said. 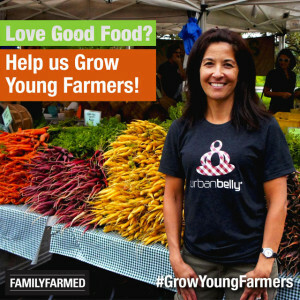 FamilyFarmed has nearly two decades of experience and expertise in local and sustainable food matters. 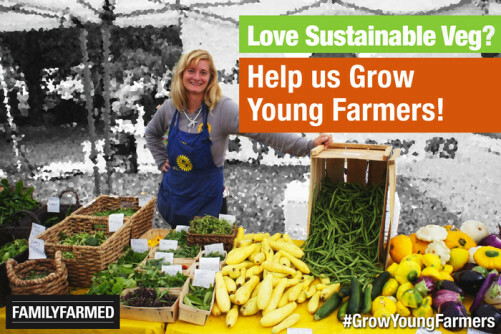 Our nonprofit organization has had a major impact in advancing the Good Food movement by working with farm and food businesses, to help them grow and expand the market for local, sustainable food. 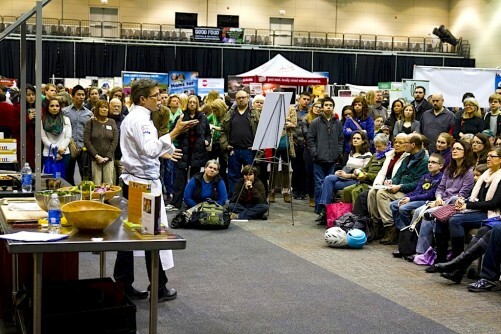 Direct Market Success is the latest among FamilyFarmed initiatives that include the Good Food Festival & Conference, the Good Food Financing & Innovation Conference, the Good Food Business Accelerator and the Wholesale Success program. And like all of these efforts, Direct Market Success is aimed at helping producers — especially younger and newer farmers in this case — to adopt best practices, succeed financially and expand the supply of Good Food. 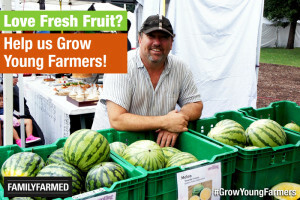 For more information about Direct Market Success and the Help Us Grow Young Farmers! campaign, or to arrange for an interview about it with President Jim Slama, please contact Leah Lawson at 708-763-9920 or email leah@familyfarmed.org. This entry was posted in Community Supported Agriculture, CSAs, Direct Farm Marketing, Family Farms, Farm Aid, Farm businesses, Farm to table dining, Farmer training, Farmers markets, Food Entrepreneurs, Good Food business development, Good Food marketing, Local Food, Small Farmers, Sustainable food retailing, Wholesale Success, Young farmers and tagged #GrowYoungFarmers, crowdfunding, CSAs, Direct Farm Marketing, Direct Market Success, FamilyFarmed, farm stands, farmers markets, Help Us Grow Young Farmers!, IndieGoGo. Bookmark the permalink.